AFC Bournemouth have planted a Cherry tree and placed a plaque outside their training pavilion in Kings Park, to commemorate the centenary of World War One. The Cherries have come together with more than 60 clubs from across the professional game in the tree planting, which is part of the national Football Remembers campaign. 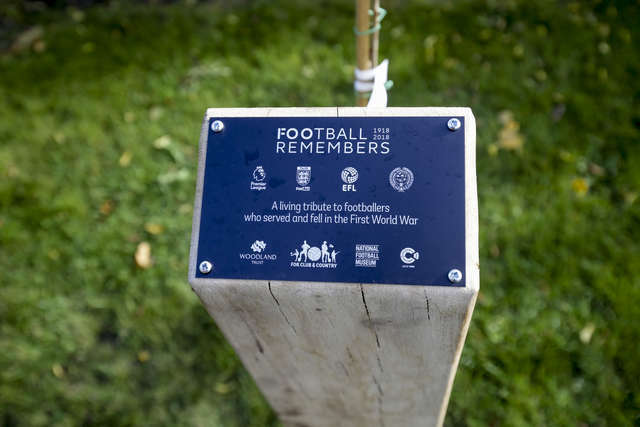 The tree, donated by the Woodland Trust in partnership with the National Football Museum’s For Club and Country project, the Premier League, English Football League, Professional Footballers’ Association and Football Association, is a living legacy to the footballers who served and died 100 years ago in World War One. “This project is the perfect way to commemorate football’s important role in World War One,” said AFC Bournemouth manager Eddie Howe.